Playtime is a magical time for kids. It is during playtime that they get to discover new things about themselves and their surroundings. Through play, children are able to form muscles, develop flexibility, establish balance and coordination, and allow for enhanced control of their finer muscle movements. Play also help children develop their cognitive skills, from language and communication to numbers and shapes to critical thinking, problem-solving, and logical reasoning. Play is also important in developing children’s rhythmic and harmonic intelligence, spatial intelligence, mathematical intelligence, and kinesthetic intelligence. More importantly, however, is the role of play in the development of interpersonal skills and a healthier self-concept. Play is, without a shadow of doubt, a crucial element in child growth and development. And where play is concerned, toys are brought to the fore. Toys or playthings are the important instruments upon which the goals of play are achieved. Without toys, the accomplishment of the different developmental tasks of children will be quite different, if not utterly difficult. It is for this reason that the most appropriate toy should be provided for each child. But how do you choose a toy that is appropriate for your child’s age? You may have already heard of age appropriate and developmentally appropriate toys from manufacturers. But what do these terms really mean? Age appropriate toys are playthings that are designed specifically for a certain age group. This has something to do more about the relative safety of the toy. For example, if there are small moving parts which can be swallowed and become a choking hazard, it is often labeled as not appropriate for infants below the age of 6 months. Why? Very young infants are known to put everything that they can hold onto into their mouths. So, not labeling a toy as appropriate for a certain age is like waiting for disaster to happen. There is another term that is more often used by child developmental psychologists. Developmentally appropriate toys are somewhat similar to age appropriate toys. However, developmentally appropriate toys take into consideration the actual developmental skills of the child. For example, an infant may be known to put everything into his or her mouth at a certain age but this does not necessarily mean that all infants are like that. Of course, there are children who are more gifted and naturally more advanced than others such that their developmental skills are also way advanced compared to their age. If you have seen child protégés, then you know what we mean. These children are so developmentally advanced that they may only be 2 years old but are already exhibiting the developmental characteristics of a 10 year old. Unfortunately, only child developmental psychologists and other similar professions can effectively determine whether a child is developmentally advanced for his or her age or severely lagging behind. Hence, for purposes of uniformity and ease of decision-making especially in terms of choosing the correct toy for our kids, parents always refer to the age appropriateness of toys rather than its developmental appropriateness. Since we are talking about age appropriate toys and that each stage of child development is characterized by certain developmental tasks, it is important to understand the developmental tasks of your child. These are observations collected from millions of children throughout the years and analyzed to form a particular standard. This simply means that for a certain age of the child, he or she is expected to be able to perform a variety of tasks that other children of the same age are able to perform. So, if you have an infant then you need to learn the expected developmental tasks of an infant. The same is true if you have a toddler, a preschooler, a school age boy or girl, or even a teenager. Once you have an idea of what your child is able to perform or display, then you can use this knowledge to look for toys that are more appropriate for the age of your child. For example, if you know that your child is expected to learn how to walk, then you will need to buy him or her a walker or a toy that can help your child learn to walk. Age appropriate toys are always connected to the safety of the product. Unfortunately, it is a lot easier to put a label “best for ages 4 to 6” than to actually conduct several tests as to the age appropriateness of the product. What we are saying is for you to be meticulous about the actual composition of the product whether it contains harmful chemicals or not and whether it is made of sturdy materials or not. Make sure to read the manufacturer’s description of the product as well as any customer feedback on the actual toy. You see, sometimes what is advertised is not necessarily what is inside the packaging. Studies show that it is better to get toys that are simple in design. This is to make sure that the child will be the one to discover how the toy really works. Toys that perform a lot of functions don’t do a good job at stimulating a child to use his or her own imagination. It is also for this reason that many psychologists actually recommend limiting computer and video games especially for very young children as these don’t necessarily help in learning. Watching is generally considered passive learning as it does not involve the actual participation of the child in the activity. As such, it is important to choose age appropriate toys that are not very specific so that there is plenty of room for the child’s imagination and active input. Here is a rundown of what kind of toys you should be considering depending on the age of your child. Infants use the senses of sight, hearing, and touch as the primary methods of learning about their environment. Toys that are of bright colors, high contrast, and make loud noises or soft music are ideal. Once the baby learns to grasp things, then textured and safe toys for teething may be provided. Examples will be mobiles, soft dolls, musical toys, chime toys, cloth toys, large interlocking rings, or rattles, just to name a few. Babies by this time can already sit up and have begun mastering their gross motor skills. They enjoy things that they can take along with them as they explore movement for the first time. Excellent choices will be toys and playthings that they can drop, bang, put in and take out, stack up, or even open and shut. Cause-and-effect toys are also beneficial at this stage in their development. 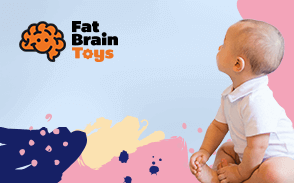 Examples are balls, bath toys, push-pull toys, simple musical instruments, soft blocks, simple shape sorters, stuffed animal toys, and pop-up toys, as well as a host of others. These kids are little explorers who are full of wonder and curiosity. They now have the motor skills to enable them to play more actively. They are more interested in walking, riding, climbing, and pushing. They also find enjoyment in manipulation and experimentation. Examples of toys appropriate for this age include feet-propelled ride-on toys, kiddie gym equipment, musical instrument, push-pull toys, playhouses, play vehicles, water toys, and picture books, among others. Older toddlers are more physically active. They tend to enjoy a lot of jumping, throwing, and climbing. They prefer toys that can be used for active play. They also possess excellent hand and finger coordination and as such are great with basic crafts, puppets, simple puzzles, blocks, and other art. Examples of great toys for this age include dress-up clothes, play household items, tricycle, wagons, backyard gym equipment like swing and slide, and art supplies just to name a few. Active cooperative and imaginative play begins at 3. They are excellent in the art of make-believe. They may show special attachment to a particular toy. Their love for the arts and crafts are heightened during this age. Examples of toys perfect for this age group include construction toys, props for imaginative and make-believe play, play scenes, hand and finger puppets, storybooks, play vehicles, outdoor playsets, and many others. Children by this age require toys that allow them to strategize and show their unique skills. Additionally, they actively seek out new experiences and new information through play. They enjoy magic kits, science, and crafts. Examples of toys for this age group can include construction toys, magic sets, science toys, art supplies, sporting equipment, and a whole lot more. Before children become teens, they develop hobbies and will often find a sense of accomplishment in team sports as well as the arts and craft like painting, ceramic making, and sculpting. They also prefer advanced construction sets, model kits, remote controlled vehicles, and sports equipment, just to name a few. Choosing an age appropriate toy starts with an understanding of what your child’s developmental tasks are. Once this is clearly understood, choosing the right toy for your child’s age becomes a lot easier.